Using 1-TetraDecanol Complex, a unique fatty acid oil, the supplement reduces inflammation that affects the hip and joints of pets affected with arthritis and the gums of those affected by periodontal disease. 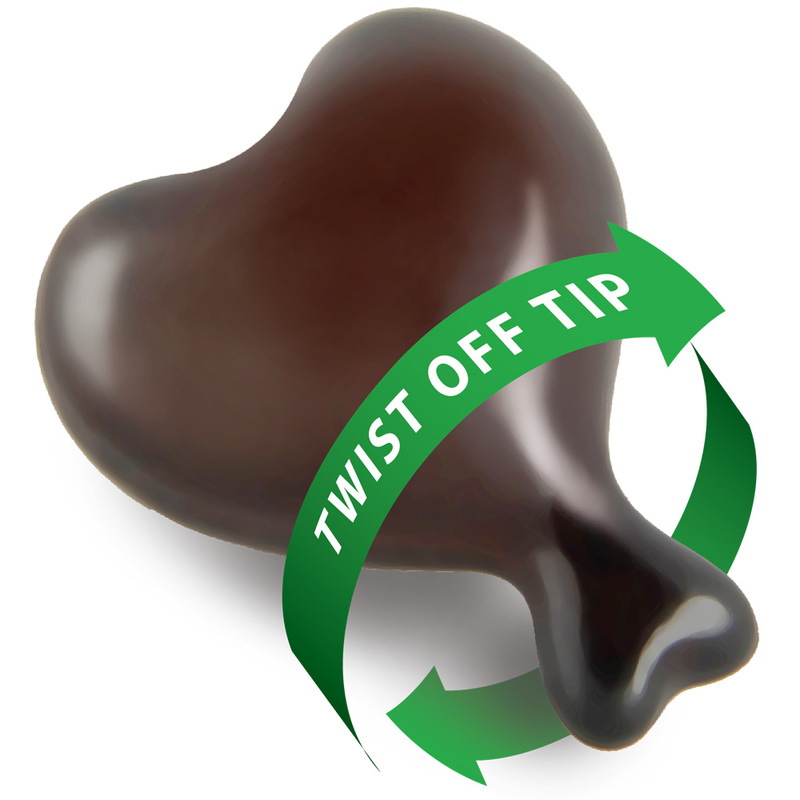 These soft gels also feature a palatable beef flavor that both cats and dogs love. 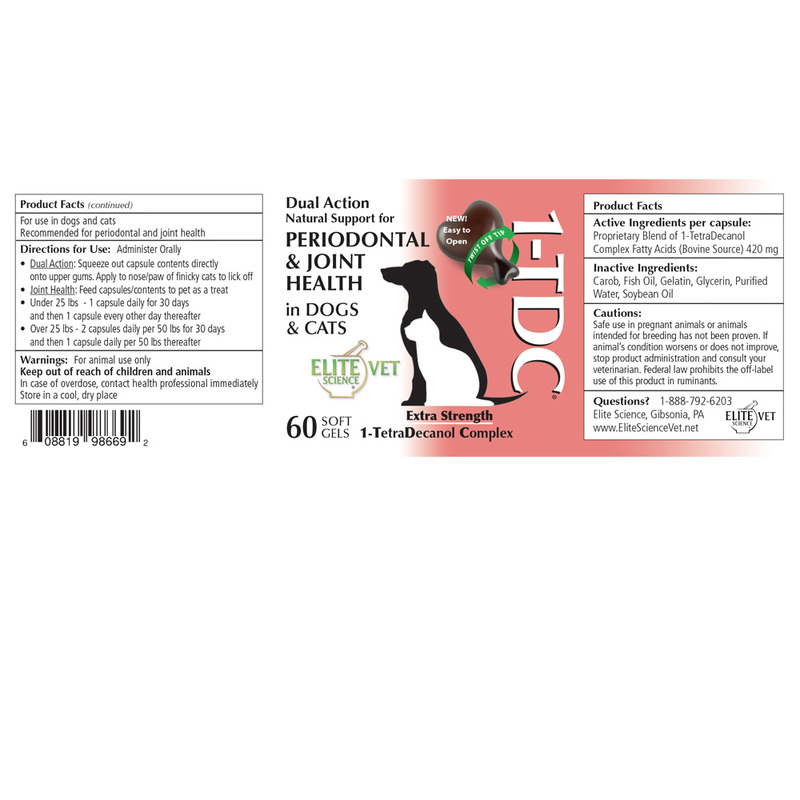 TDC Periodontal & Joint Health for Dogs & Cats can show results within the first two weeks of administration and remove the need for prescription medications in some cases. This container comes with 60 soft gels, but there is also a package of 120 available. 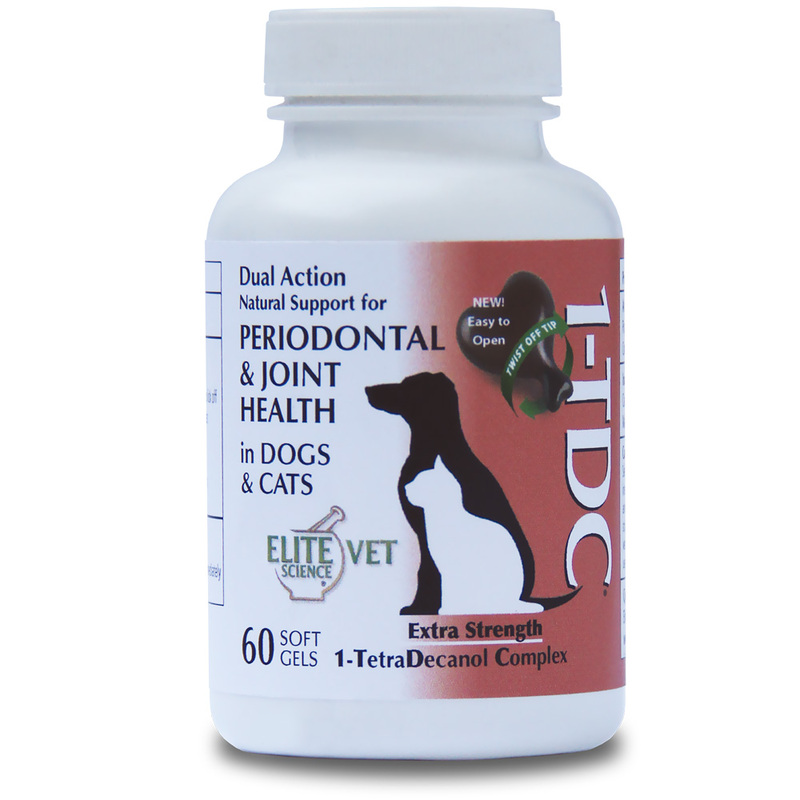 You'll love this fast working supplement and the effects it will have on your pet- so order now!